You are the world's wealthiest CEO and your most profitable company is responsible for the worst toxic waste crisis of all time. Ooze is everywhere. Mutants have taken over the sewers. It is up to you to wipe them out before anyone finds out. You've raided your own R&D department and stolen the latest version of the laser-jetpack-plasma-rifle suit. You will be the first test pilot... Good luck! 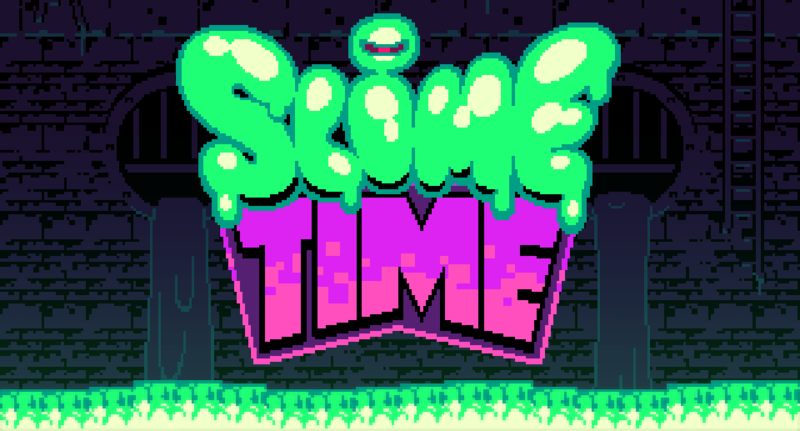 Slime Time is a bullet-hell shooter where you use the backfire of your weapons to move. Use your laser-jetpack to jump and your plasma-rifle to steer as you navigate a sea of bullets, destroying enemies along the way.